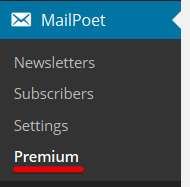 Before we get started, do note that if you have purchased your license via MailPoet > Settings > Premium upgrade, your domain name should already be associated to your license so you can go directly to the Step 2. If you have purchased directly from our website or wish to add more domains to a multi-domains license. Follow the instructions below. 1. Log into your account manager on www.mailpoet.com/account and click on "Activate your licenses"
2. You should see all your licenses. There you just need to input your domain name (for instance: www.my-website.com) in the highlighted area (see below) and press enter or click outside the input field in order to save. 3. You should see a "loading" icon for a few seconds then it should display the "Click to activate" link. If it does not, there might be an error with your domain. Click on the "Click to activate" link and it should redirect you to your WordPress' admin panel. Make sure you are logged in as an Administrator. 2. Find the button "Already paid? Click here to activate" at the bottom of the page and click it. 3. The page will reload and you will be asked to download the Premium plugin. Click the button "Download the Premium plugin". 4. 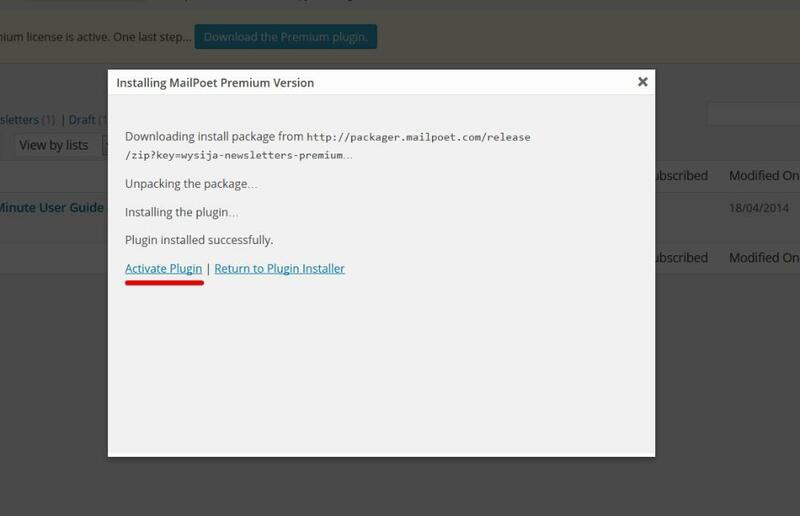 A popup will open up and the plugin will be installed, once the installation finished you will be able to activate the plugin. 5. 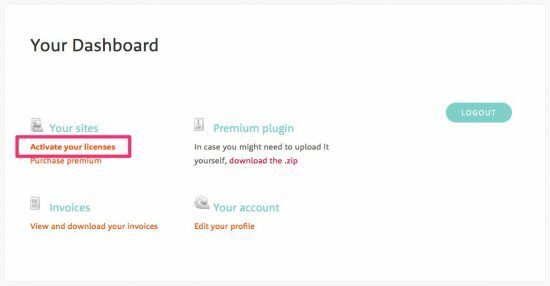 Simply Activate the Premium plugin. That's it, you're all set! Congratulations, your Premium version is now activated!